Visit us in our new location on the 1st floor of the north building facing the courtyard. 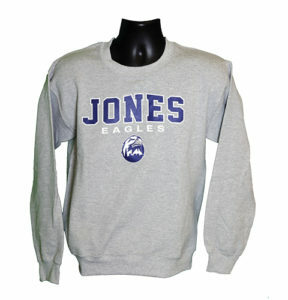 A wide variety of Joneswear apparel is available in our store, with new items being added throughout the year. 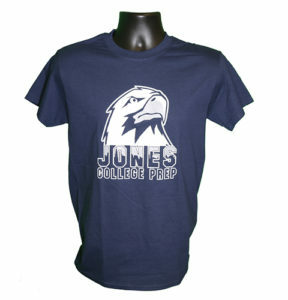 Purchases may be made at the Joneswear Store during lunch on Tuesday and Thursday (11:10 – 1:45) and “B” day ACLab (1:45 – 3:15) every week. We also hold large lobby sales at special JCP events such as Freshman Welcome Night, Report Card Pickup, Back to School Night, and Freshman Connection. Watch for dates and times to be announced. All forms of payment including credit, debit, cash, and checks (made payable to “Friends of Jones”) are accepted.  Questions regarding Joneswear? Would you like to volunteer? Contact Julie.Weisman@friendsofjones.org or Mary.Marco@friendsofjones.org.